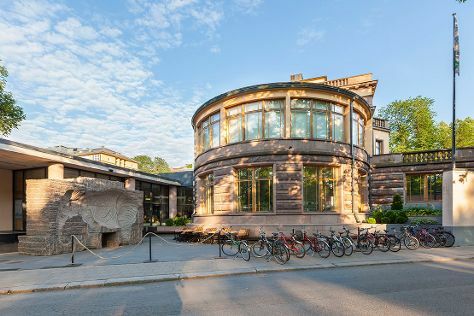 Kick off your visit on the 12th (Sun): test your problem-solving skills at popular escape rooms, contemplate in the serene atmosphere at Turku Cathedral, then stroll through The Archipelago Trail, and finally take in nature's colorful creations at Kultaranta Garden. On the 13th (Mon), you'll have a packed day of sightseeing: stroll through Kupittaa Park, then see the interesting displays at Luostarinmaki Handicrafts Museum, and then explore the ancient world of Aboa Vetus & Ars Nova. To find maps, more things to do, reviews, and other tourist information, read our Turku online sightseeing planner . If you are flying in from New Zealand, the closest major airport is Turku Airport. May in Turku sees daily highs of 17°C and lows of 5°C at night. Finish your sightseeing early on the 13th (Mon) to allow enough time to travel back home.